“Did you have a fun vacation?” I asked. My girlfriend had just gotten back from a week in the mountains. “Fun?” she questioned. “A relaxing, restorative time, perhaps, but not fun. I don’t really have fun with my kids, do you?” It was an honest question she was asking. I thought for a minute. “Yes, I do,” I answered. My kids have thrown their share of tantrums and bicker with each other like the next set of siblings, but generally, I do have fun with my kids. The conversation got me thinking; do most parents have fun with their children? Although my response to my friend’s question is true, I’ve certainly gone through seasons when fun has been harder to come by. We parents teach our kids table manners, interrupt sibling squabbles, pray for them, help them with homework, but do we actually have fun with them? Do we enjoy our kids for who they are, with their own quirks, sense of humor, and interests? And if not, is there a way to intentionally pursue more fun with our kids? 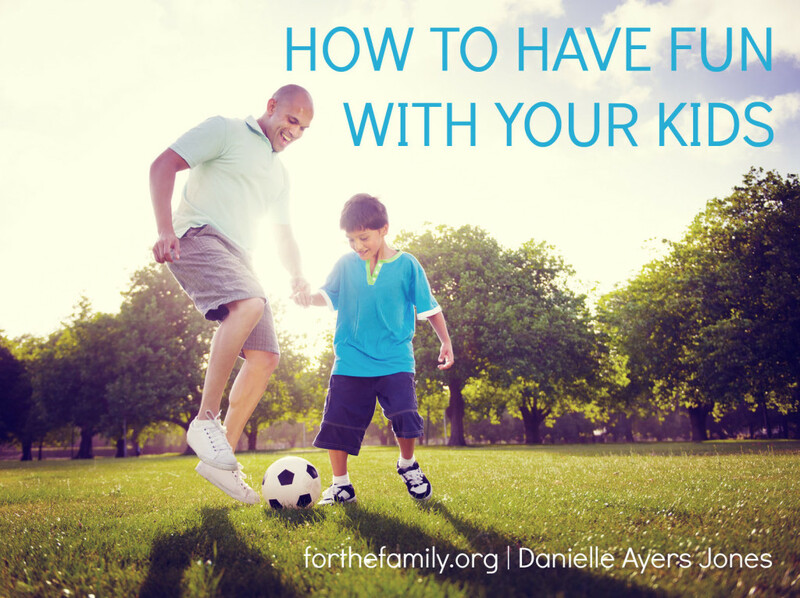 Join me over at For the Family for some ways to cultivate FUN with your kids this summer.